Carlos Mortensen became the first player ever to win both a WPT Championship and a WSOP Main Event when he prevailed at the Bellagio on Friday. Mortensen didn't disappoint his fans who have come to rely on, not only his fabulous play, but his ability to construct architectural wonders with his stack. For his prowess, Mortensen received $3.97 million - making him the first player to top the $5 million mark for Bellagio cashes. 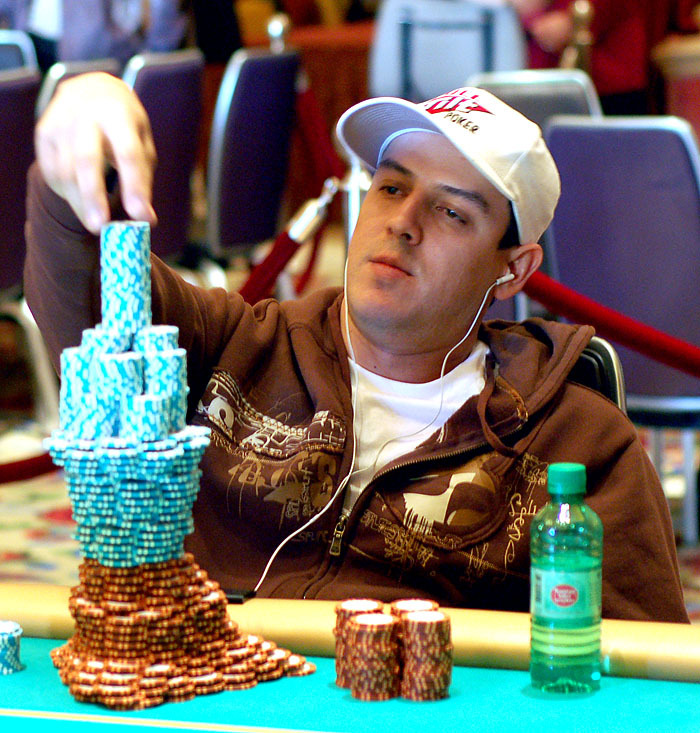 Mortensen faced Kirk Morrison in a death defying heads-up session. Morrison, also a WSOP bracelet winner (1998 WSOP Stud), was just coming off his win at Jennifer Harman's NSPCA Charity Event at Caesars. The heads-up battle lasted just over three hours with the lead changing many times. And while I'm sure Morrison was disappointed, $2 million sure makes for a swell consolation prize. Click here for more information about Nevada's no kill SPCA shelter. Or were you just looking for poker? Excellent blog! I currently help blog for a poker website and would like to purchase a link at your site. Would you be interested? What are your yearly rates? Please let me know. Thank you very much. Its indexed by google & yahoo! your link will be placed on my links page below! description: Learn to be a winning poker player with holdem101.info free poker strategy articles, also get huge bonuses from Full Tilt Poker,Absolute Poker & Doyles Room Poker. Please use the format above for sending your link info! Great news for Carlos. He is one of the more likable poker players... ie. fairly humble compared to most. Really a good post for Carlos and the event is of nice one. Thanks for the post and please update it. Also please give some poker links for linking. Anyone know who it was that built the castle at a final table? carlos is such a awesome player. I wonder if Carlos had an IQ test or other test to find out if he has an extraordinary mind, anyone knows? That was a really nice article you posted. I like reading your posts , Thanks . Beat the Recession with PartyPoker.com bonus – up to £250! Good Luck! Id love to take a crack at these guys! Great stacks of chips. He must be really something good. i really love this. It is so exciting.!! This has been a really very interesting read i must say!! Cool blog. How can I get in contact with you for advertising? for some reputable sites to exchange links, so I would you propose to exchange links with my 3-way sites.And I'm sure this change will be beneficial for both of us to increase our ranks and search engine optimization page . Hello to every body, it's my first pay a visit of this webpage; this web site consists of awesome and actually excellent information designed for visitors.